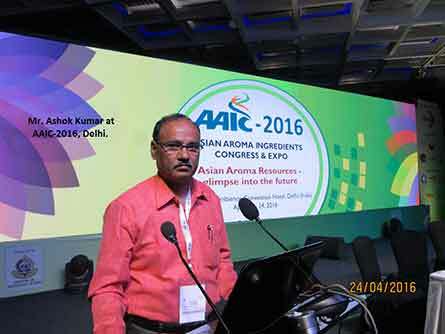 AAIC- 2016, Asian Aroma Ingredients Congress & Expo, the International Conference on Essential/Aromatic Oils held in Delhi on 22, 23 & 24 Apr 2016. 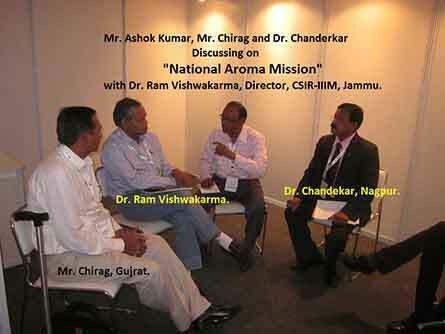 Organized by Essential Oil Association of India, which was attended by Pacific Agro, Nagpur. The Meet was attended by more than 700 delegates including more than 150 foreign delegates from 9 countries. 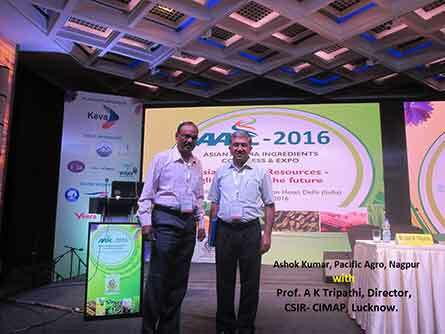 The conference was addressed by prominent faculties (from India & Abroad) of this field and the delegates include Cultivators/Growers, Processors, Traders, Exporters, Researchers and End users (Industries) of theses oils. It was perfect platform for interaction among all above category of delegates. Conclusion- Good income can be generated (Rs.30,000 to 80,000/acre yearly) from Aromatic grasses on all type of soils. Essential oil Production has decreased in last two years and Demand has increased. The whole World is expecting the production of these oils from India because we have the “Potential and Capacity” to cater the need. Though Synthetic substitute are available but Fortunately the trend is Shifting towards “Naturals”. It means “Opportunity is Waiting” we must grab it.